The Health and Safety of each employee is a priority of the management of Homestead Land Holdings Limited. 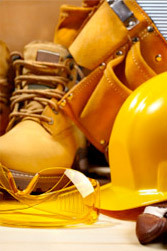 Homestead Land Holdings Limited is committed to the Health and Safety of its workers. Homestead Land Holdings endeavours to protect all of its workers from injury or occupational disease by eliminating anticipated workplace hazards, providing protective devices, providing health and safety information and generally providing a safe place for all workers. Additional resources will be made available here as needed. If you would like more information about any of our Health and Safety policies please contact Homestead.